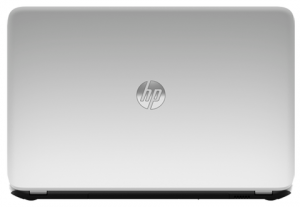 In this article we are going to talk about 5 the most popular top performance high quality HP laptops. Even just narrowing down to the HP brand, there are a lot of different choices and features in laptops, and it can be difficult to choose. This article will help you decide. We chose HP because it is one of the top computer brands in the world. Whether you’re looking for a powerful laptop that stand in for a desktop in running the latest games and programs, or for a fast, light computer with extra connectivity options for business trips, there will be an HP laptop with the features you need- and one that will fit your budget, as well. Their sleek, modern appearance is an extra plus. audio: Bang & Olufsen with 2 speakers for studio quality sound. Powerful and stylish, highly customizable, high performance laptop with a brilliant 17.3” high definition touch display. It performs on the level of a desktop with its large memory and cutting-edge processor, so this is the only computer you’ll need. If you’re looking for a machine that will run anything wherever you want it, this is the HP laptop you’ll want to purchase. This computer is great for gaming and entertainment as well as business tasks, and optionally comes with Windows 10 Pro. Although it’s more expensive than some other options, the price is a great deal for all these features. This is one the most advanced customizable 15.6” laptop on the market with the latest 8th generation processor . With great battery life and memory, with faster response time, and a more portable size, it’s no surprise that it’s the top selling HP laptop, especially since the price is not high for the base configuration. The new HP Spectre Laptop -13t is the top of the line and HP web exclusive model. It features an excellent powerful latest i7 processor and 1 TB PCIe NVMe M.2 SSD, which is the best for a gaming experience, business and entertainment. A brilliant full HD display comes with the 1920×1080 resolution, allowing you to see every detail of a game or movie. The sound quality is great here as well. What is cool about this laptop? This high performance robust customizable gaming HP laptop has the latest Intel Core i7 processor, graphics, game optimized thermals, UHD (3840 x 2160) display and solid state drive, beautiful design. This customizable high-performance laptop stands out from a competitors because its new ultra-slim convertible design with a 360° hinge. The light weight of 2.89 lbs. is definitely a plus. The all-metal design makes it look modern and luxury. This is stylish PC with good battery life and portability. Conclusion: Whatever your reasons for buying a laptop, there is an affordable HP laptop that will fit your requirements. In addition, there are many different coupon codes that can help bring the price of these amazing laptops down even further. Look into one of these five top quality HP laptops to be your first personal computer or to replace an outdated machine.